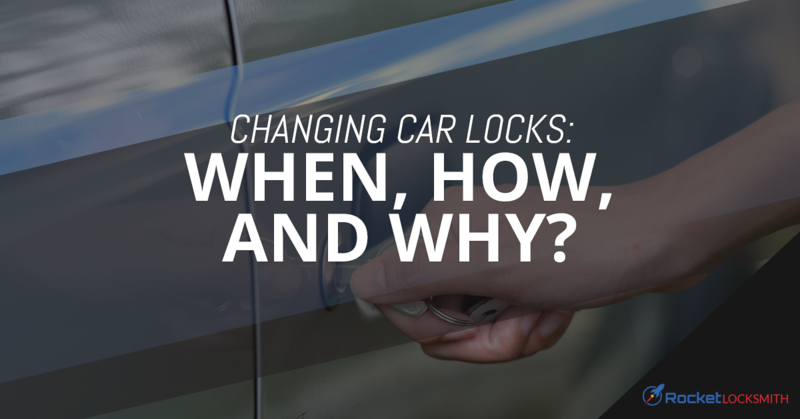 When it comes to locks, odds are good you don’t think about your car’s locks until you find yourself locked out of your car. Take a moment and think about it; when was the last time you even physically unlocked your car? For most of us, that electronic transponder key means we simply click a button and tug the door open, no key turning needed. Still, as infrequently as we use the actual locks on a car, those locks can have a big impact on your car’s security as well as the function. Before you leave your broken lock in disrepair, take a few minutes to learn what you ought to pay attention to when it comes to your car locks. First and foremost, any lock that is visibly loose or broken is a bit like a flashing neon sign calling to car thieves. And, unfortunately, if you knowingly let a broken lock remain broken, odds are slim your insurance company will pay out anything to recompense you for the loss of your car or anything stolen from inside. Insurance companies will generally view this as owner negligence and, if something happens to your car, you’ll be on the hook for any repairs or replacement yourself. So, even if you have a key that sticks a bit in the lock or a lock that refuses to turn, even with the correct key, call your local auto locksmith to get it repaired rather than face greater damage or loss. When you move into a new home, it’s pretty much impossible to know just how many keys are floating around out there for your home. The same thing goes for your car. Whether you bought it used from a dealership, purchased it for a wish and a prayer from a family member, or risked a deal on Craigslist, if your car has had any previous owners, odds are decent there may be other keys floating around out there. One simple way to cut down on the risk of break-ins or issues from those wandering keys is to have your locks and ignition re-keyed. As with your home, this process simply changes the tumbler settings without changing the hardware, so all you need is a new set of keys. The other big reason many car owners need to have their car’s locks looked at is because they’ve lost or broken a key. Of course, just because you lost one, or even all of your keys, this doesn’t automatically mean you’ll need to get your locks re-keyed. A mobile locksmith can come to you and duplicate keys—yes, even transponder keys and electronic key fobs—as well as extract a broken key from the lock or ignition. Of course, if you think you remember where you lost your keys and it poses a potential theft opportunity, you may want to get your locks and ignition re-keyed anyway, just for an extra layer of security. Whatever, your struggle, don’t feel like your only option is to take your vehicle to the dealership and spend hours waiting for service. If the issue is with a lock, key, or the ignition, odds are good your local auto locksmith can help you out, and do so faster! This even includes popping your trunk, if you accidentally dropped your keys and shut them inside. Whether you’ve broken a key, your ignition doesn’t want to turn easily, or anything in between, if you are concerned about your car’s locks, ignition, or keys, don’t waste your weekend waiting at the dealership for service. Call your local auto locksmith instead! At Rocket Locksmith, we have the knowledge and experience to help you with all your auto locksmith needs, so call us today for locksmith help in St. Louis!